Have you ever sprained your ankle, or suffered extreme recurring pain in your joints? Have you heard of the hot and cold therapy options for all such aches and pains? Hot and cold therapy techniques are known to be two of the most effective and non invasive methods of treating a variety of body pains. These therapy options are recognized as non addictive approaches to ensure pain relief, for both muscular and bone aches. While hot and cold therapies are effective in relief from intense pain, the ideal technique to use is determined by assessing the intensity of the pain, and its recurring nature. A new injury which causes pain is sure to cause swelling on the affected area. Thus, application of ice packs is a preferable solution to bring down the swelling and ease the pain. On the other hand, recurring pain is best treated with the application of heat on the painful body area that ensures better circulation of blood to promote the healing process. Both hot and cold therapy options are used to relieve certain types of pain, and there are different products which help you apply the right degree of heat and cold to the injured or aching body part. Also known as heat therapy, is used to improve blood circulation and thus, speed up the healing process within the body. How it works is simple. The regulated blood flow ensures amplified supply of oxygen to the affected area, which in turn, helps lessen the intensity of pain. The heat from the therapy also decreases the chances of muscle spasms, and improves mobility of the joints and muscles. The application of heat to a painful area also enhances the overall flexibility of the ligaments and tendons of the body. Heat therapy is primarily recommended if you suffer from stiff joints, with intense muscle and joint pain. Both dry and moist heat application is used to treat pain in the body. Either microwavable or electronic heat pads can be used to apply the required amount of warmth to the affected area. Hot water bottles, hot water baths and gel packs can also be utilized to help maintain a constant temperature on the painful spot, ensuring pain relief. The Sombra Warm Therapy, the Dura Med Reusable Heat Packs and the Thermoderm Heat Lotion are good options to ensure effective heat therapy. This pain therapy is used to slow down the blood circulation in the affected area, which helps bring down swelling and painful inflammation. Muscle spasms can also be avoided with the application of cold packs on a swollen, bruised, or injured area. Cold therapy is ideal for the prompt treatment of sprains, bumps, strains or bruises, resulting from a sports injury or heavy lifting. 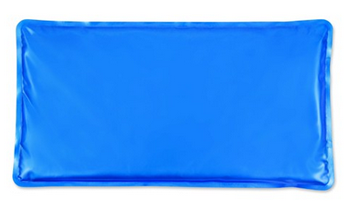 Ice gel packs are generally used to ensure that a constant supply of cold therapy is applied to relieve the pain and bring down the swelling. 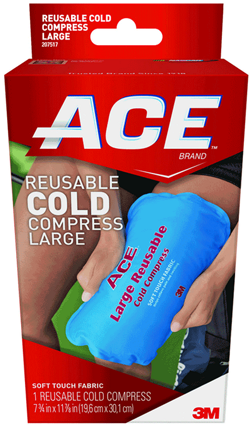 The Versa Pac Reusable Cold Pack and the ACE Cold Compress are two products that help ensure effective cold therapy to treat any new injuries or bruises. Both hot and cold therapy options are easy and effective treatment choices, which ensure quick pain relief, but the trick is to know which one to use for your particular pain relieving needs.